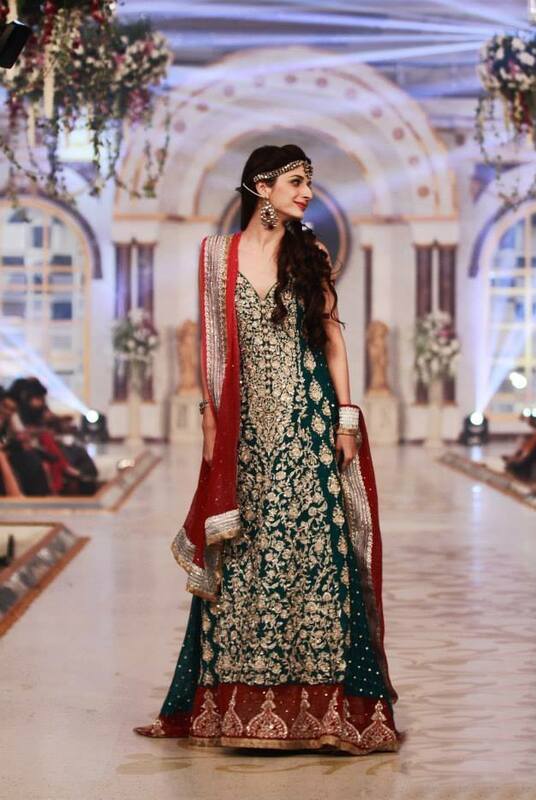 Today we post the stunning most popular Pakistani bridal wear collection 2014 for Pakistani, Indian and Asian brides. In recent some days, her are lot of bridal dresses have been released through different bridal weeks, designer collections and photo shoots. As Like previous year 2013, Pakistani bridal dresses includes in this new collection of 2014 are also elegant and stunning. 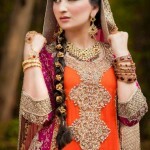 In this Pakistani bridal Dress collection includes bridal mehndi dresses, barat dresses and walima dresses. Pakistani brides mostly like to wear bridal lehengas along with churidaar pajamas or trousers on their special wedding day. 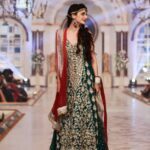 dabka work and zari work is popular in Pakistani bridal dresses and this collection has richly adorned and embellishment with dabka and zari work. Every bride wants to look beautiful on her important day. Even on mehndi and mayon, brides wishes to look gorgeous and beautiful. So, all the brides pay special attention on their makeup, hairstyles jewellery and dress. 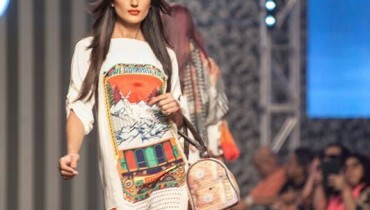 Pakistani brides would love to wear heavy fancy work couture on her function.